​Beat Stress. Punch this stress buster when things get to be a bit too much for you. 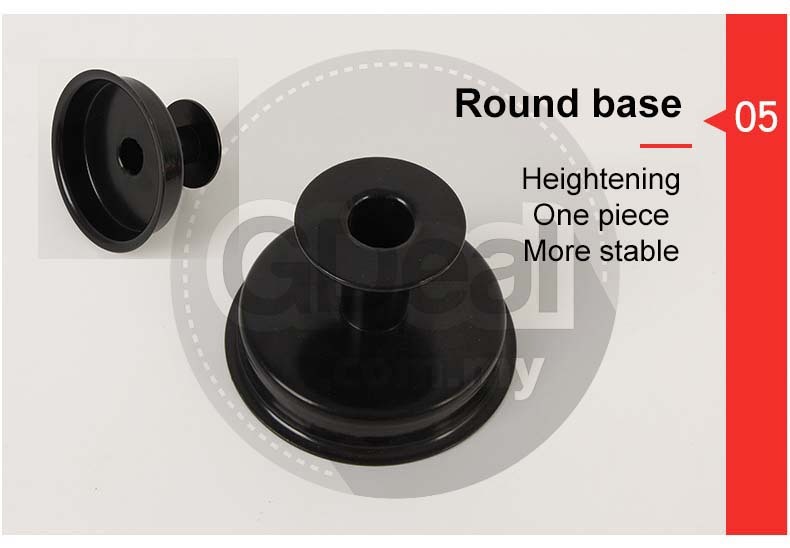 Easily install the spring and punching ball onto the suction cup and inflat the ball with the provided pump! Durable design. The bottom sticks to your desk so it doesn't move when you punch it. 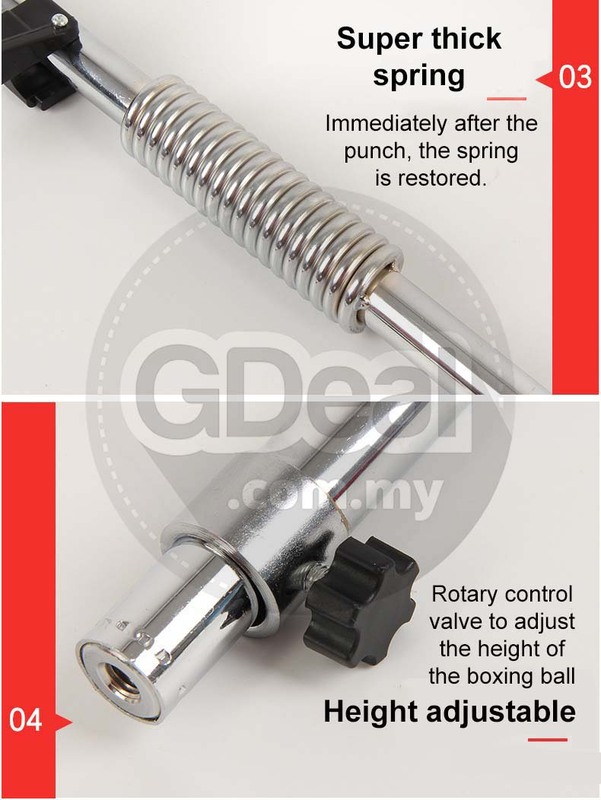 The high resilient spring keeps bouncing back when you punch it. Keep punching until you're finally calm! Great home and office accessory. 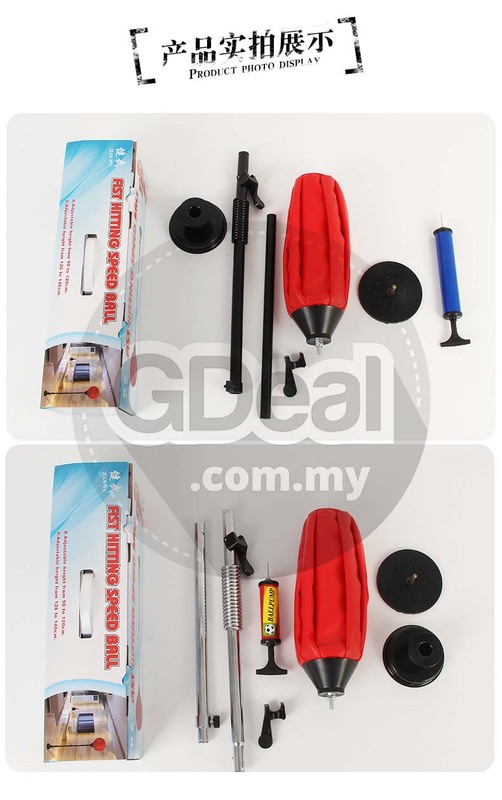 This desktop punching ball set is what you need to put in your office or home! Kill daily stress with this stress buster kit! Perfect gift choice for boss, coworkers, kids, friend and anyone who love boxing! Build skills & Have fun. 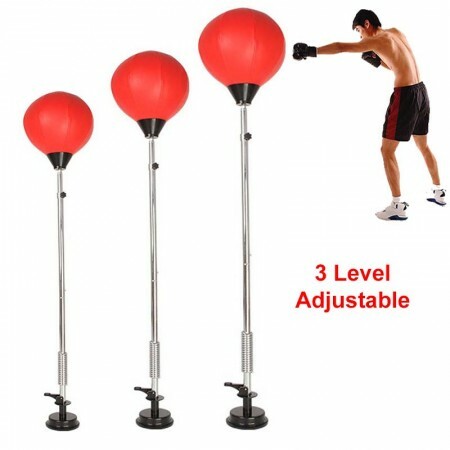 The punching ball can provide hours of entertainment and will raise the heart rate to give a kid a great workout! The bag also helps to build timing and speed. Plus, it improves hand-eye coordination. Goes back. 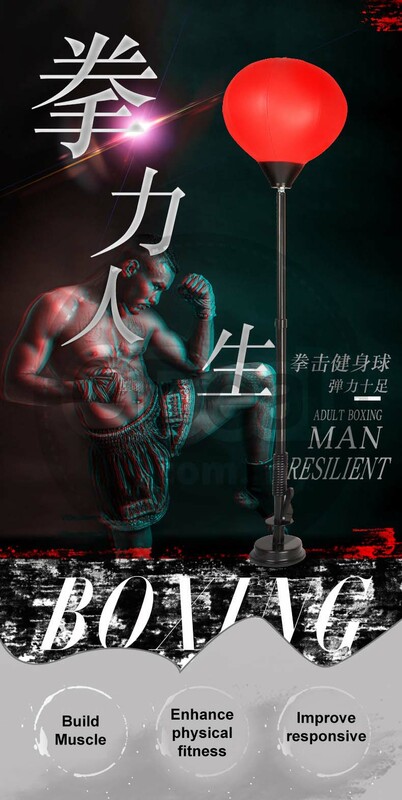 The stand is held to the base using a high tension spring, allowing the punch ball to swing and sway when punched- just like a bobbing boxing opponent! Reduce Stress And Vent Emotions It Is For Students Who Are Under Stress. Punch hard and it will come back harder at you! 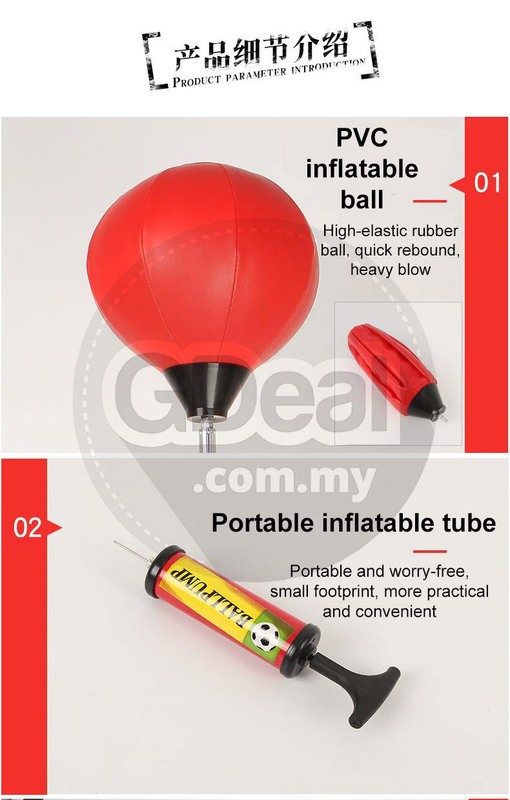 This inflatable boxing buoy will help you improve hand speed and hand-eye coordination. Easy to install. 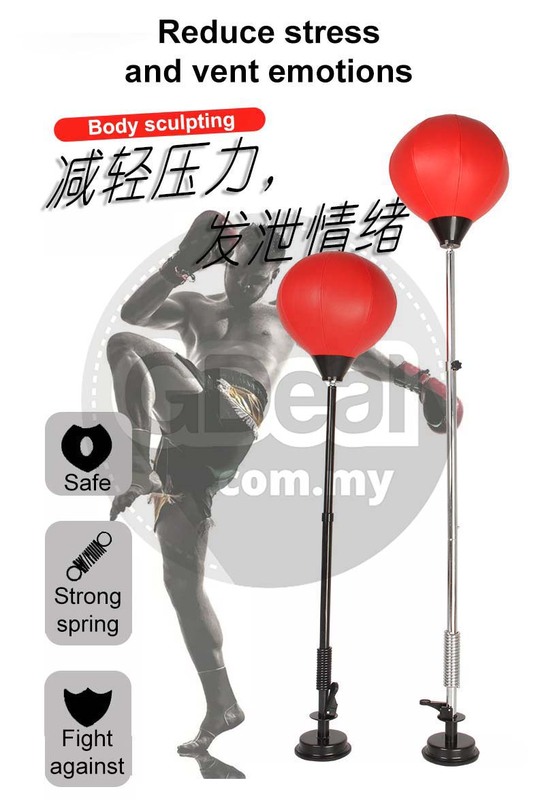 You can get the punching ball inflated in no time, and the stand assembles in just minutes. A Portable, Easy To Carry Set! Whether you're a boxer, kickboxer or just want a new way to work out, this boxing aid is great for training at home.